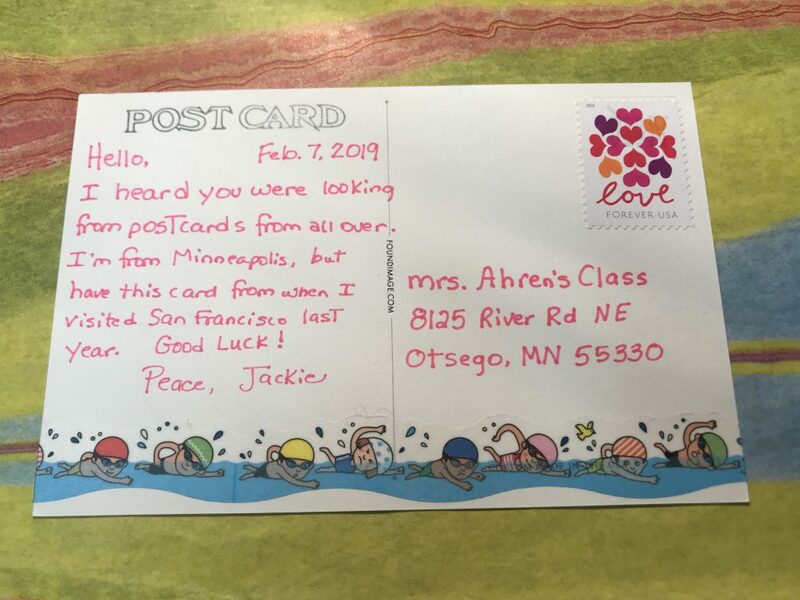 A kindergarten teacher in Minnesota is trying to get 100 postcards from all over the US by Feb 19. Thanks! Let me know if you were able to send something. A reminder that postcards in the US are only .35. I wanted to match the stamp to the ink color I used, so I opted for the new LOVE stamp. What a fun project. I am dropping them a postcard from San Mateo, California. Thanks for posting the information. I’m sending them a postcard from Colorado. Fun project! Thank you! I appreciate your help and for letting me know! sending a card from New Mexico. fun project, i hope they gets lots of cards! would love to know if they’re successful … will you post a follow-up?? btw, i posted the link on my Facebook page and already one of my friends from Scotland has sent out a card. won’t that be a treat for the kids?!! I love that! Thanks for sharing!! Thank you for sharing this! I’m excited for their project as well and have mine ready to go! I’m sending one from Austin, TX! I wrote one from Chehalis/Centralia, WA and I will send it tomorrow. Great fun! I just sent one from Sugar Hill, Ga. What a fun project! =) Yay for Kindergarten!